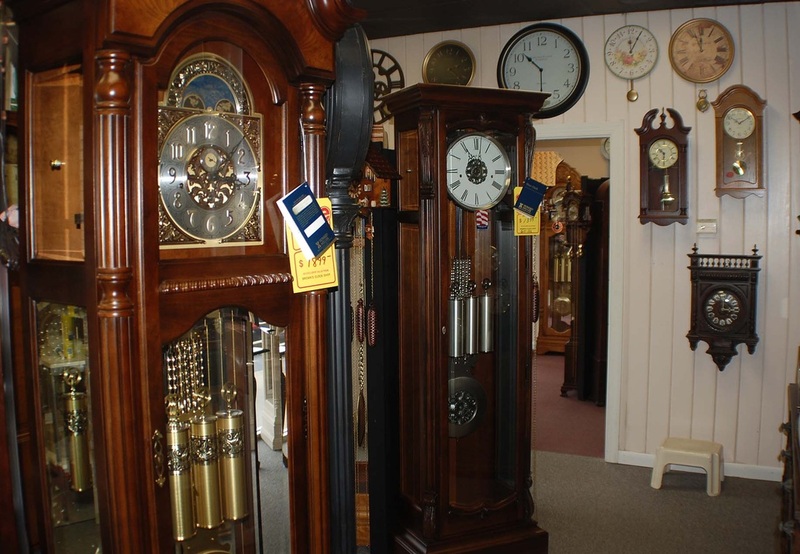 Since 1985 Brown's Clock Shop has been selling and servicing grandfather, wall, mantel and cuckoo clocks. We have a large selection to choose from and are also an authorized Howard Miller dealer. Our house calls to service your clock are $95 in the Raleigh area. Call 919-834-4415 to set up an appointment for a service call. Our showroom hours are Monday - Friday, 10 a.m. - 5:00 p.m. MasterCard, Visa, Discover and American Express are accepted. We give free estimates for clock repairs.